50 Years of Star Trek isn’t a bad documentary but by the same token, nothing overly special outside of that it features the final interview with the late Leonard Nimoy and perhaps that alone is worth the price admission. 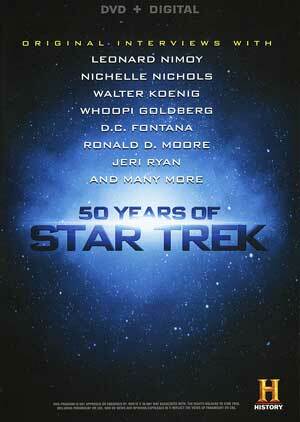 Plot Synopsis: America has been fascinated by Star Trek since it first aired in September 1966. 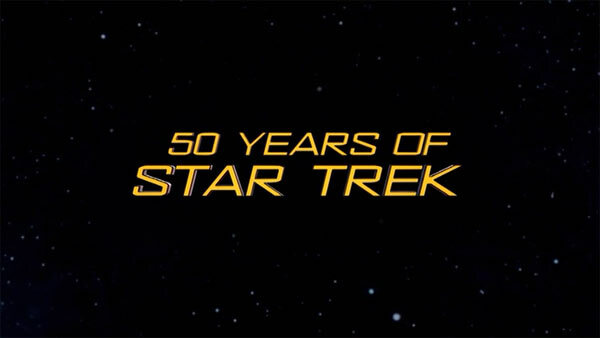 50 YEARS OF STAR TREK celebrates the franchise’s 50th anniversary through interviews with cast and crew members from every television series and original film, the special features archival clips and footage, as well as Leonard Nimoy’s last filmed interview. Quick Hit Review: This special, produced by the History Channel, is more primer and filler material that’s only worthwhile with some of the guests the filmmakers were able to gather headlined by the late and great Leonard Nimoy. Participants discuss a variety of topics from the cultural and technological impacts and from those involved their work on the variety of shows and movies. It’s nothing special and I’d think there are more in-depth documentaries out there, even ones that included William Shatner who was unfortunately absent, but for what this is, it’s worth watching at least once. No features were included but there is a code for the Digital Copy. 50 Years of Star Trek arrives on DVD presented with an anamorphic widescreen 1.78 aspect ratio and it showcases some nice colors while the Dolby Digital 2.0 track is rather basic but the sound mixing was pretty bad with a score that nearly drowns out the participants. Overall, 50 Years of Star Trek isn’t a bad documentary but by the same token, nothing overly special outside of that it features the final interview with the late Leonard Nimoy and perhaps that alone is worth the price admission. Other than that, if it weren’t a Lionsgate release, this might’ve been fine as a feature on the Star Trek Beyond release.